Most recently, Jim worked with MAM Food Co., a Dubai, United Arab Emirates food and beverage company, and Papa Murphy&apos;s; assisting both with their international development and partnering with them operationally after opening. Dickey's Barbecue Pit announced the addition of Jim Perkins, Vice President of International Sales. In his new role at Dickey's, Jim will work with the Franchise Sales team to continue to grow the Dickey's Barbecue Pit brand internationally. "This year, we opened our first intentional location in Abu Dhabi and made plans to open restaurants throughout Canada," says Laura Rea Dickey, CEO of Dickey's Barbecue Restaurants, Inc. "It is a very exciting time for the Dickey's brand; and we look forward to the success Jim and his team will bring us in continuing our international expansion." Jim brings a full career of restaurant operations to the Dickey's Barbecue Pit family along with more than 10 years of international operations and development experience. Most recently, Jim worked with MAM Food Co., a Dubai, United Arab Emirates food and beverage company, and Papa Murphy's; assisting both with their international development and partnering with them operationally after opening. "The Dickey's brand truly is a family business that is focused on authentic food and the experience of bringing friends and family around the table to enjoy delicious barbecue," says Jim. "I look forward to helping Dickey's continue their international expansion and serving Texas-style barbecue to people across the world." 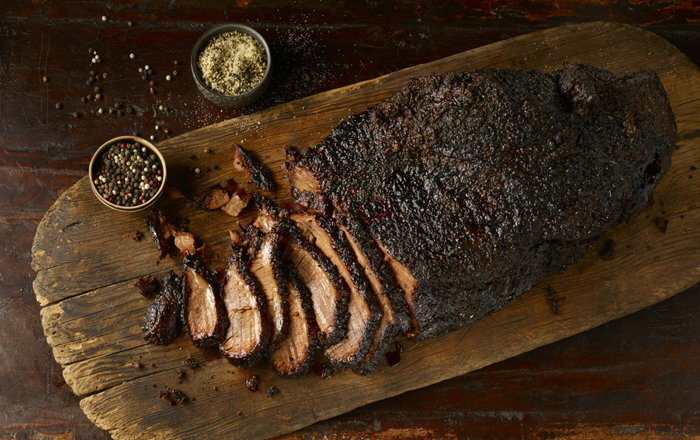 Are you with Dickeys Barbecue Pit? If you are a member of Dickeys Barbecue Pit you may be interested in learning how to optimize your content on our network.